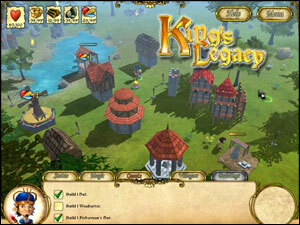 Build your very own medieval kingdom and protect your people, explore, trade, gather resources, learn magic and spells in King’s Legacy, a fun Simulation game. After the fair king passes away, a new prince must step up and bring prosperity to his kingdom. Take the throne and fulfill your destiny! Defeat the incoming threats and keep your citizens safe from storms, ghosts, and more in King’s Legacy!